Contracting PLUS welcomes the increase of €200 in the Earned Income Tax Credit (EITC) announced yesterday as part of Budget 2019, bringing the EITC for 2019 to €1,350. However Commercial Director, Jimmy Sheehan expressed disappointment with the Government’s failure to bring parity between the employed and self-employed. “The EITC was first announced in Budget 2016 and was supposed to match the PAYE tax credit of €1,650 by Budget 2018. The Governments discrimination against the very people who do the work and innovation which creates employment is unsatisfactory”. Sheehan went on to say “Contracting PLUS recently called on the Government to give a fairer deal to Independent Contractors travel and subsistence costs, and we will continue to highlight the need to support this pool of highly skilled individuals”. This was covered in the Irish Independent, Business & Finance and Business World. -An increase of €750 in the income tax rate bands for all earners. -The Earned Income Tax Credit increased by €200 to €1,350. -A reduction in the rates and thresholds of the Universal Social Charge (USC). -The 0% Benefit in Kind rate for electrical vehicles is being extended to 2021, with a cap of €50k on the Original Market Value. -An extension of the VRT Rebate for Hybrid and Plug-in Hybrid vehicles until end of 2019. -A new Parental Benefit payment to be paid for two weeks to every parent of a child in their first year (expected to commence November 19). This benefit will apply to employees and the self-employed and is expected to be increased to seven weeks in time. -Income thresholds for the Affordable Childcare Scheme will increase. -Jobseekers Benefit will be available to the self-employed from Quarter 4 2019. 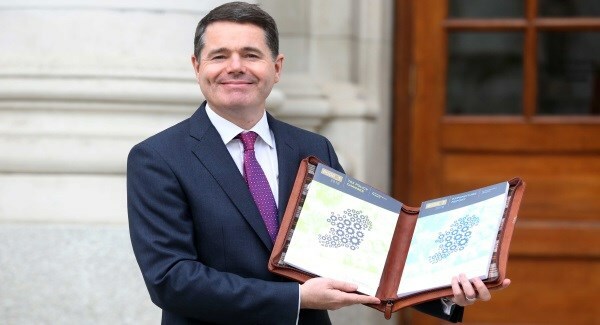 A full summary of Budget 2019 together with all the updated tax rates and bands for 2019 can be accessed here. Contracting PLUS works with independent contractors to help them maximise their take-home pay and build wealth for the future which can be extracted from your company in a tax efficient manner. If you’re serious about investing in your future financial health, and want to maximise your income, call Jimmy Sheehan or Jennifer Doyle today on 1800 54 54 22.